The DK French - English Visual Dictionary is a fantastic and novel French "picture dictionary" for older children and adults. Whether it's for school, business or pleasure, this introduction to key French vocabulary covers a range of subjects from home and office to sport, music, nature, and beyond. 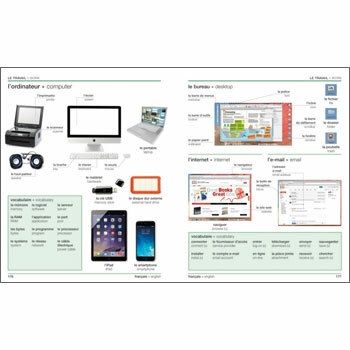 Plus, you'll find helpful additional features on key associated nouns, verbs, and phrases. 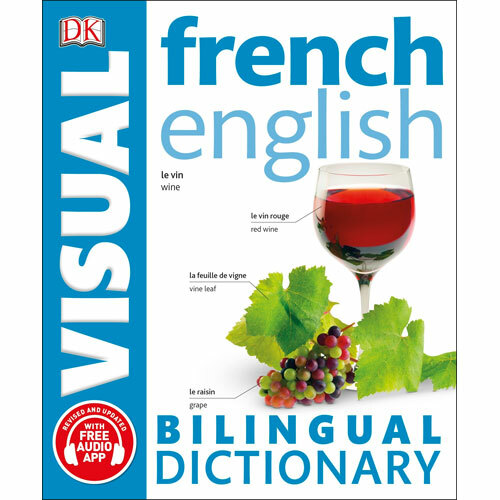 The DK French-English Visual Dictionary is for anyone wanting to improve their French vocabulary. The book is really simple, easy to use and contains an amount incredible of very useful words! I absolutely love it ! The service I had from Little linguist was really good. Both well recommended !